You Mean it Builds Buzz AND Kills Plaque? 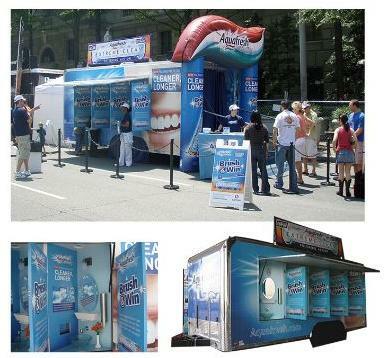 Check out the Aquafresh interactive mobile, complete with virtual tooth-brushing games and free teeth cleaning duds. The only thing that would make it cooler would be if you could step inside a giant mouth and bounce on its big foamy tongue while getting slightly high on a fresh-breath smell.